This is a leash and collar in one. A Padded Throat piece with limited choke action that prevents slip outs. 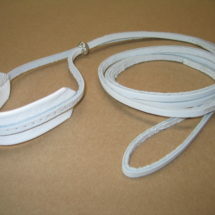 The large has a 1″ throat strap plus pad, the medium has a 5/8″ throat strap plus pad, the small has a 1/2″ throat strap plus pad. Approximately 1/4″ of pad edges the throat strap. 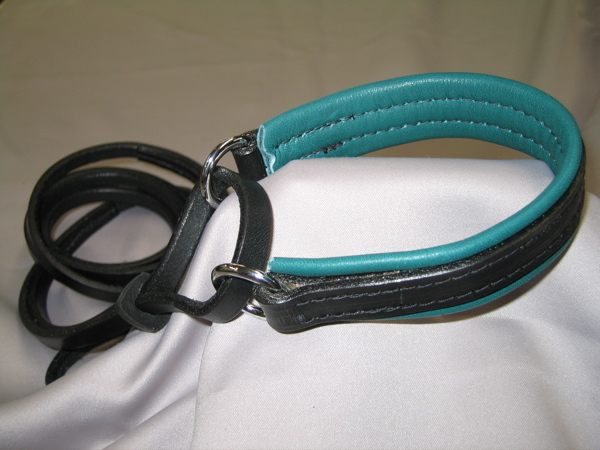 Customize your own Leash! I have many color choices on pads. 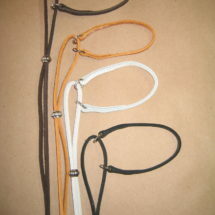 Strap comes in either black or brown. I make these for all Breeds. 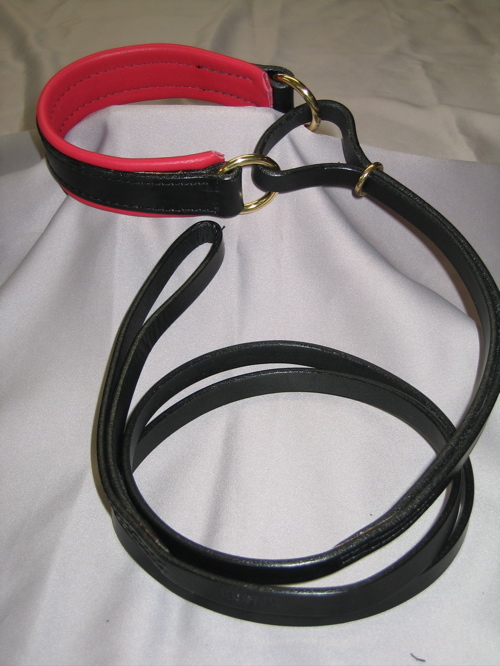 Hand made of English Bridle Leather and soft cowhide padding. Choice of Solid Brass or Chrome Hardware. 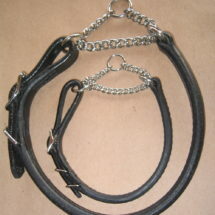 Measure snug behind the ears for Martingales. Specify neck size during checkout.